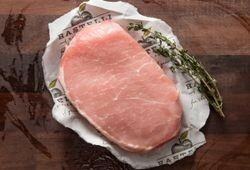 A juicy, hearty classic cut of domestic pork, our Boneless Center Cut Pork Chop is additive-free. Defrost, pan sear and serve with, what else? —applesauce! This classic comfort food makes family dinner delicious and affordable! Each portion size is 6 oz. I know this must sound crazy but I actually baked them with crushed pineapple in olive oil and chardonnay. They were so juicy and tender. 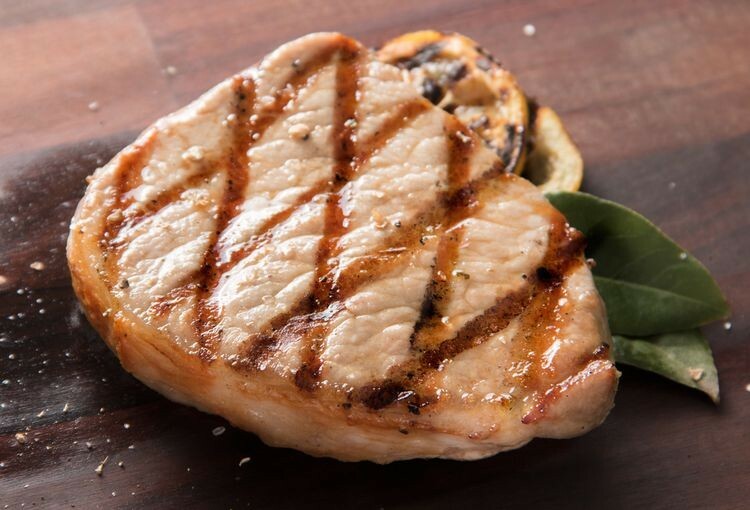 I've prepared these chops in two or three different methods and they continue to turn out perfectly moist. Very flavorful. Definitely will be re-ordering.